Do you want to have your own business in Visakhapatnam? And looking for a food franchise opportunity in Visakhapatnam? If yes, then, you have reached the right place. One of India’s leading brand in food industry Chaat Ka Chaska a venture of Brewbakes cafe, is offering best street food franchise opportunity in Visakhapatnam for all those what want to setup their own business. Chaat Ka Chaska is one of the top street food brand that serves mouthwatering street foods to the customers prepared through finest quality ingredients. 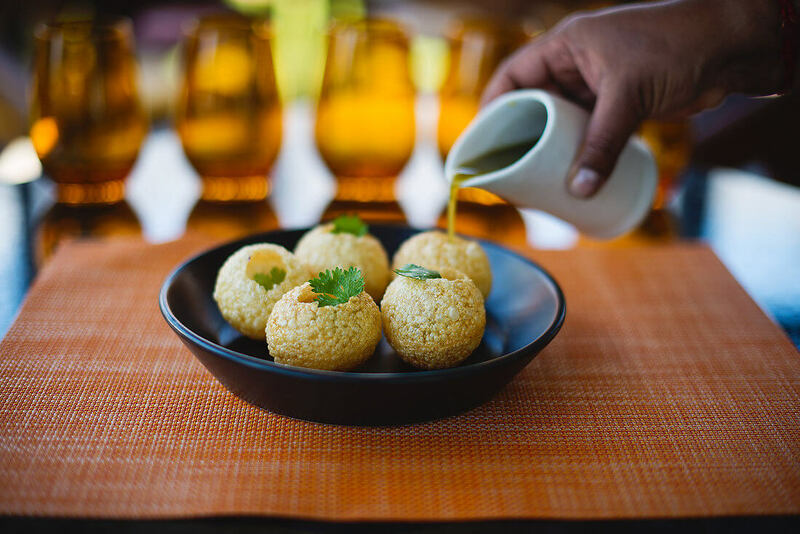 We serve street foods like Golgappa, Chaat, Sevpuri, Bhelpuri, Dahi Bhalle, etc. We are offering excellent franchise support and training (pre-opening and ongoing) for smooth operation of Chaat ka Chaska restaurant or food cafe in Visakhapatnam. So, grab the street food franchise opportunity in Visakhapatnam and become your own boss. Why Chaat Ka Chaska Franchise in Visakhapatnam? Chaat Ka Chaska street food and chaat franchise business can be a golden opportunity for the people who need to get success in food business. We offer exclusive street food franchise business model that is distinct, flexible and economical. And also we guarantee for the taste of all the foods prepared and served by us. We use finest quality ingredients to make all the enticing street foods. The food items are hygienically prepared and served. Chaat ka Chasks street food franchise business offers delicious Indian street foods like Dahi Bhalle, Panipuri, Chaat, Tikki, Sevpuri, Bhelpuri, Tikki Chaat etc. and ensure perfect ambiance for people where they can relax and enjoy their favorite street food and other delicacies. So, having your own food business in Visakhapatnam will be the business idea and wise decision for the anyone who are looking to start a new business in Visakhapatnam. Visakhapatnam is also known as Vizag, located in the state of Andhra Pradesh. Vizag is also known as ‘City of Destiny’’ or termed by many as ‘Goa of East Coast’. Visakhapatnam in Andhra Pradesh is known to be the central hub of the state. There are many big industries and companies due to which it is home to many professionals. Also Visakhapatnam is an educational hub where you can find schools, institutes, universities and much more. The idea of opening your food cafe in and around these campuses would be a wise decision. The students and these professionals can be your potential customers as they have huge contribution in such trendy restaurants. They always look for a place where they can enjoy or spend some quality time with their friends and family member. Chaat Ka Chaska fulfills their desire by offering a perfect ambiance to sit and relax with their closed one and enjoy having the enticing street foods that are hygienically prepared and served. There are every type of street foods available with us and we guarantee the superb taste of all the dishes as prepared through finest quality of ingredients. So, doing business with Chaat Ka Chaska food franchise in Visakhapatnam will be a very safe business for you. If you are planning to have your own food business in Visakhapatnam then, you shouldn’t miss this golden opportunity to be the part of a leading brand of food industry. And make money with sufficient margins.